Mr. Mathews, a partner in Orrick’s New York office, serves as Global Co-Head of the Derivatives group. He is also a member of the Structured Finance, Banking and Finance, and Energy and Infrastructure groups. His practice focuses on representing financial institutions, governmental and regulated entities, hedge funds and corporate end-users in structuring and negotiating a broad range of fixed income, foreign exchange, commodity, energy and credit derivative products. Among other things, he has successfully negotiated numerous domestic and cross-border hedging transactions relating to leveraged loans and infrastructure transactions. In addition, Mr. Mathews has significant experience in foreign exchange and fixed income prime brokerage issues, as well as various structured products. He also regularly advises clients on derivatives regulation, including rules relating to the central clearing, exchange trading, reporting, recordkeeping and other requirements of the Dodd-Frank legislation, as well as the negotiation of related documentation. Mr. Mathews is lead editor of Orrick’s publication, Derivatives in Review, which periodically highlights important legal, regulatory and other newsworthy developments in the area of derivatives. He has also published articles in several journals, including on rating agency hedge criteria in connection with structured finance transactions. 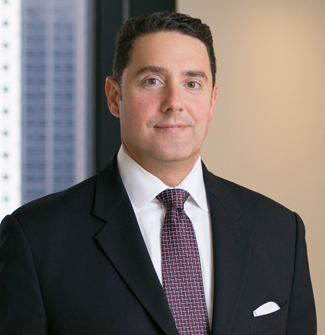 Before joining Orrick, Mr. Mathews was vice president and assistant general counsel at Goldman, Sachs & Co. and director and counsel at UBS AG. He also served as a law clerk to the Honorable Nicholas Tsoucalas of the United States Court of International Trade. From 1999 to 2007, Mr. Mathews held a commission as a Captain in the United States Army Reserve, where he was qualified to practice as a Judge Advocate. A veteran of both Operations Iraqi Freedom and Enduring Freedom, he served as an Operational and Administrative Law attorney in Kuwait, Iraq and Afghanistan.